The Boathouse is a warm, welcoming family pub in the heart of Chester. Situated on the famous River Dee, we’re just a 5 minute walk from Chester city centre shops and attractions. We’ve a great range of cask ales on offer, as well as fine wines and a back bar filled with premium gins and spirits. Subject to weather, you can even enjoy them on Chester’s only floating beer garden. 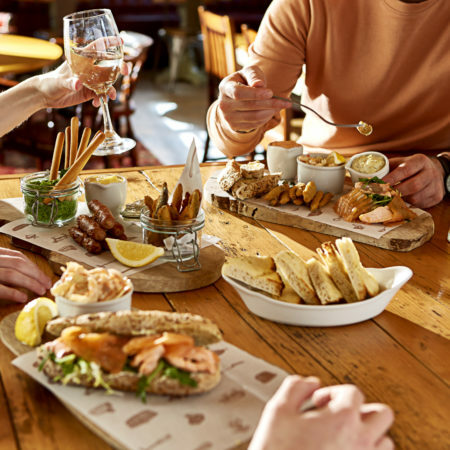 As well as our impressive drinks selection, we serve honest, home cooked pub food, with a Winter menu packed with hearty, seasonal pub favourites. Our Sunday roast is arguably the best in the area, so you’ll have to come down and decide for yourself. 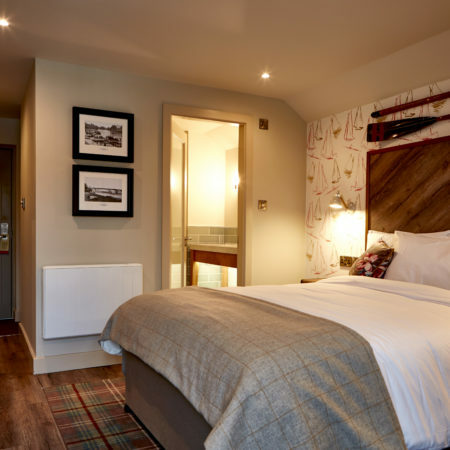 Along with our selection of award-winning cask ales and great tasting seasonal food, we also provide guest accommodation with cosy, comfortable rooms that overlook the scenic River Dee, perfect for a weekend away in Chester.There are always plenty of events taking place in Chester and at The Boathouse. To keep up to date with what’s coming up over the next few weeks, take a look at our What’s On page and sign up to our newsletter. Enjoy two delicious sirloin steaks and a bottle of wine on Saturdays for just £29.99. Join us every Sunday and enjoy our delicious 2 or 3 course Sunday roast - the perfect end to any week. Come and enjoy a drink on Chester’s only floating beer garden. Resting on the the River Dee, our unique beer garden is the best place to be when the sun is shining in Chester. The perfect setting for afternoon dining in the sunshine! What a little gem of a find. This pub is lovely. Great atmosphere and lovely location right on the river. Perfect for a sunny day. Staff were happy and beer was good. Would definitely go back again on our next visit here. Rooms are of a very high quality. Consistent in theme and with its placement by the river. Very reasonably priced too and very happy with the cooked options at breakfast. Pub very pleasant and great outdoor areas by the river. Stayed for two nights, but could have done with three! Great job Boathouse team. Definitely be back. We popped in here for a 'quick' drink, an hour and a half later we were still there with empty plates too! Such a lovely location right on the river, glass of wine in hand, sun out, we could have easily stayed all afternoon. Staff attentive and good food - I had the fish finger sandwich, delicious. Would love to visit again.